Since January 2006, the CVSSD has required victim services providers receiving CVSSD-administered grants to collect and report quarterly data on three outcome measures. All grantees use a single outcome measure and two additional measures specific to the services they provide. CVSSD directs that grantees determine which clients are appropriate to be surveyed and collect feedback from at least 10 percent. The reports below analyze the data collected for a year and compare it to the data collected the prior two years. Grantee agencies creating or enhancing a plan to increase cultural competency can use the standards guide below. An equity formula is used for allocating state and federal funds via the Joint Domestic Violence and Sexual Assault Non-competitive Grant. 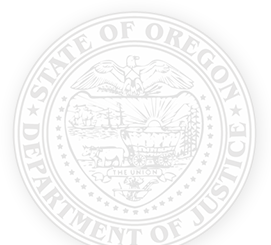 Funds are administered by the Oregon DOJ and the Department of Human Services. The summary below was prepared in FY 2014-15.